Are you beginning your search for your next vehicle but are not sure where to start looking? Are you trying to find buy here pay here Indiana car dealers near Fort Wayne with a great selection of used cars for sale in Indiana? Are you on a tight budget when looking for used cars for sale near Fort Wayne at buy here pay here Indiana car dealers? Don’t waste your time at other buy here pay here Indiana car lots, get approved today with our guaranteed credit approval at Lucky 7 Car Store. Here at Lucky 7 Car Store, we have a variety of used cars for sale, including used cars under $5000 for sale. So, drive past the other buy here pay here Indiana car lots and come to Lucky 7 Car Store for your next car. With fuel economy being high up on the list for many car buyers in Fort Wayne, we make it our goal to have several different makes and models of used cars for sale in Indiana, including used cars under $5000 with high MPG ratings. Whether you are looking for a used car for sale under $5000 for running errands around town, your daily commute to work or school, or getting the kids to practice, we have the used cars under $5000 that are sure to meet all of your needs at Lucky 7. When it comes to finding your next vehicle, we know that not everyone has the same wants and needs when it comes to used cars for sale in Fort Wayne. Our selection of used cars under $5000 includes coupes, sedans, minivans, SUVs, and trucks, so you are sure to find the vehicle that fits your style because there is something for everyone at Lucky 7. Like the used Acura TSX Sport sedan for sale. Even with a powerful 2.4-liter engine that boasts an incredible 200 horsepower, this used car under $5000 has an astonishing MPG rating of 23 miles per gallon in the city and 32 miles per gallon on the highway. This used car under $5000 is clean, and it has low miles. This used car for sale under $5000 has keyless entry, power windows, power locks, steering wheel controls, and more options to see when you come to check it out at Lucky 7. 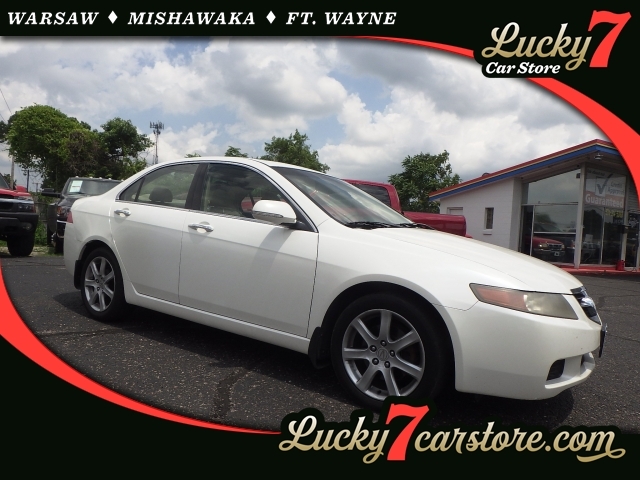 Whether you are interested in used cars for sale under $5000 to suit your budget or another one of our used cars for sale in Fort Wayne, we have your next vehicle waiting here for you at Lucky 7 Car Store. We look forward to working with you and take pride in providing you with the best buying experience possible, and outstanding inventory selection of used cars under $5000, and great deals. Lucky 7 Car Store Fort Wayne can be reached by calling 260-424-8866. You can stop in and see us at 2011 N. Clinton Street in Fort Wayne, IN 46805.